How many versions of chocolate chip cookies have you had? I’m sure I’ve made about a dozen. There are chocolate chip cookies with cream cheese, chocolate chip cookies with browned butter, and chocolate chip cookies with nuts. My point is there are so many versions of chocolate chip cookies that it’s almost ridiculous. So why am I making yet another version? Because this version is different. It isn’t just another take on a chocolate chip cookie. For starters, this version goes in a pan and is a bar cookie. 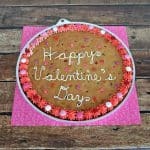 The cookie itself is just a regular old chocolate chip cookie recipe that I use all the time. Now here’s where it gets crazy. 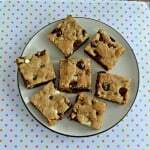 I whipped up a quick 2 ingredient fudge recipe using chocolate chips and sweetened condensed milk. That’s it. After I spread some of the cookie mixture into the pan I poured the fudge mixture over top. Then I put the remaining cookie mixture on top. 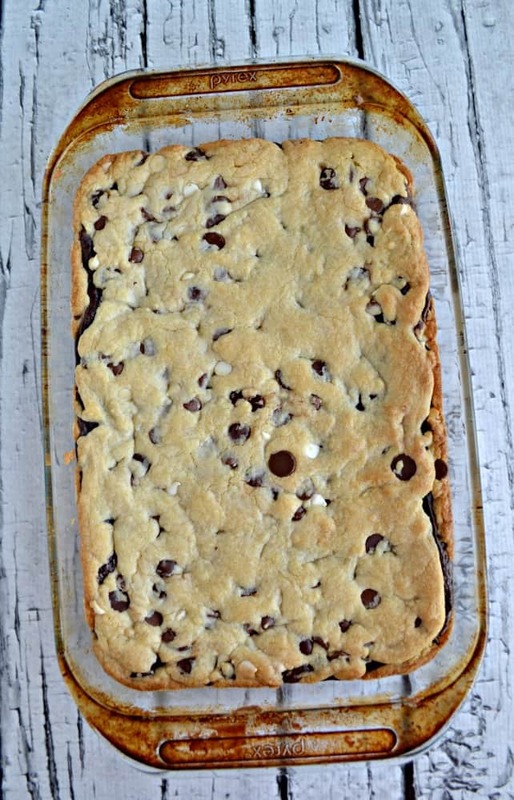 The result are these awesome Fudge Filled Chocolate Chip Cookie Bars. Since the fudge goes into the oven it thickens up into a solid chocolate layer in between two layers of cookie. 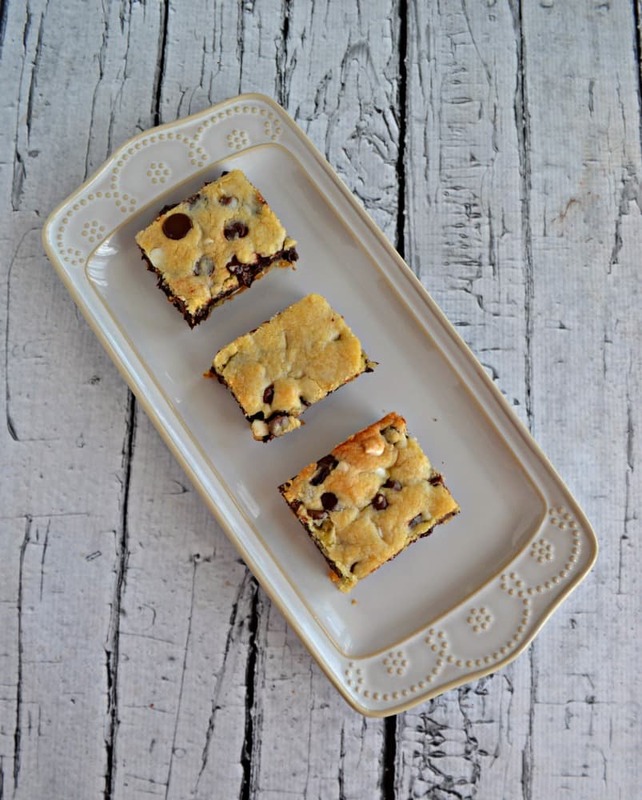 This is the ultimate chocolate chip cookie bar for sweets lovers. It is seriously sweet so make sure you serve it with a glass of milk or a mug of coffee. Everyone raved about these bars. They are simple to make but they turn out so tasty. 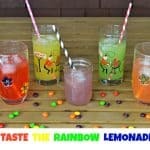 These are a great bar to take to picnics and parties all summer long so give them a try! 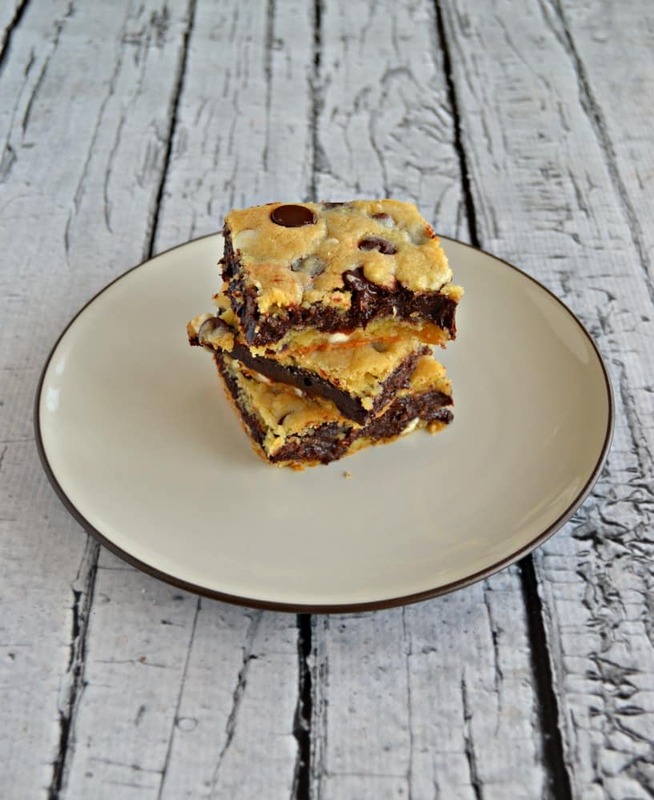 These delicious chocolate chip cookie bars are filled with a layer of fudge! In a large bowl combine the butter, brown sugar, and sugar. Mix until well combined. In a medium bowl combine the salt, baking soda, baking powder, and flour. Mix well and then add to the sugar mixture. Mix well. Add ⅔ of the batter into a 9 x 13 pan and press into the bottom. Set aside. Meanwhile, add the condensed milk and chocolate chips to a medium saucepan over medium heat. Stir until chocolate is melted and the mixture is smooth. Remove from heat and pour over top of cookie batter in the pan. Smooth out to the edges. 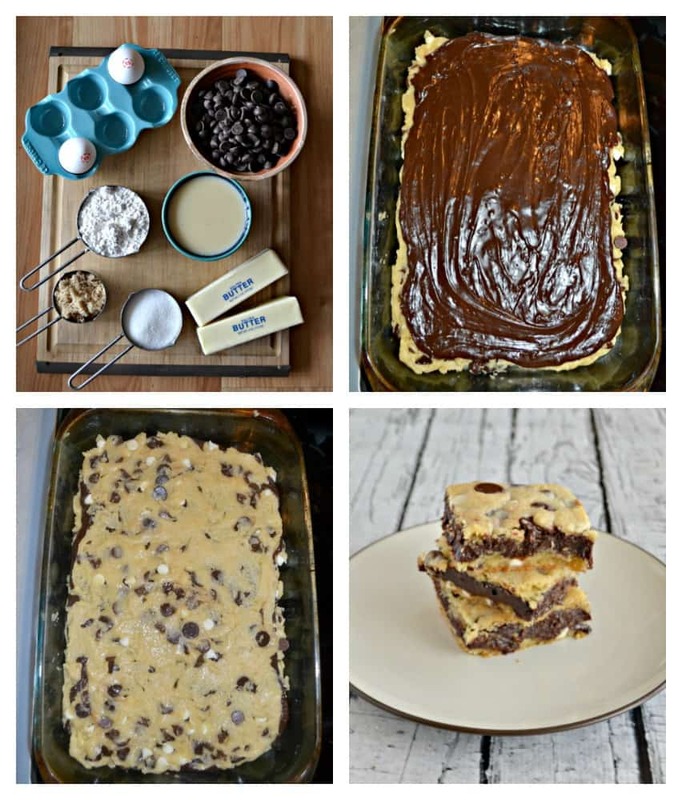 Take the remaining cookie dough and flatten pieces in between your hands and place on top of the fudge mixture as best you can. 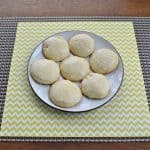 Bake for 25-30 minutes or until the top of the cookie is browned. Remove from oven and cool completely. Place in refrigerator for 20 minutes before cutting. 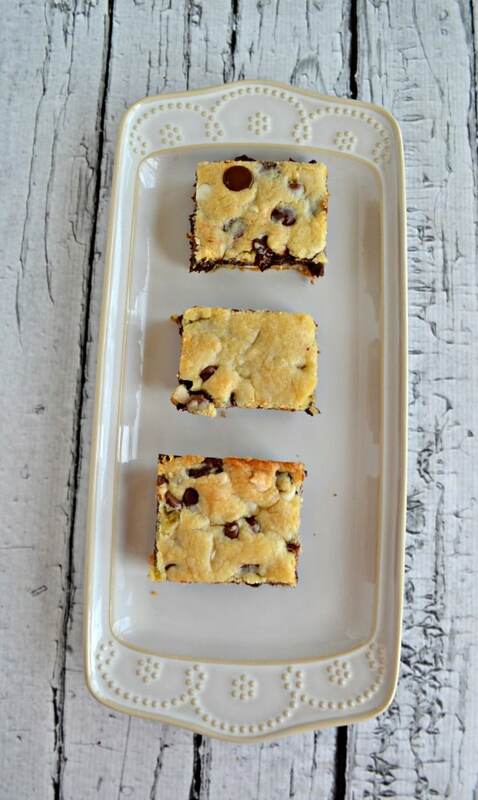 Cut the cookie into bars and enjoy!